Sebastien is responsible for the strategic business planning for the company’s flagship portfolio of beauty, skin, and sun care products. This includes global brands Neutrogena®, Aveeno®, and regional favorites such as Bebe® and Dr. Ci:Labo® that together drive $4.2 billion in annual sales. A dynamic leader and creative visionary, Sebastien inspires his teams with his personal passion for the industry. He oversees pipeline development and future-forward business partnerships to drive the creation of brand experiences that go far beyond the bottle, for women who are just as beauty-obsessed as he. 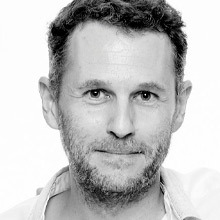 Sebastien joined J&J in 2015 as Head of Beauty Regional Franchise for EMEA, In 2016 he was promoted to Head of EMEA Marketing Strategy and was responsible for strategic growth of the Consumer business across EMEA. Prior to J&J, Sebastien spent 15 years at L’Oréal. He holds a post-graduate qualification from the École Des Hautes Études Commerciales in Paris, France and now lives in NYC.